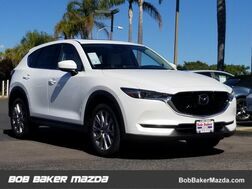 The 2019 Mazda CX-9 is always elegant. When it comes to creating an enriching driving experience, theres no such thing as a minor detail. 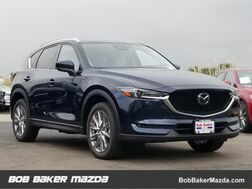 SKYACTIV® TECHNOLOGY vehicle dynamics with G-Vectoring Control is an innovative technology that helps deliver a smoother, more invigorating ride for both the driver and passenger. When cornering, the system seamlessly adjusts power delivery and shifts vehicle weight throughout the turn, reducing the need for tiny steering corrections. 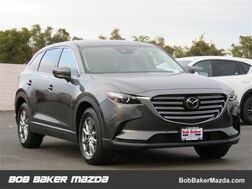 The Mazda CX-9 is carefully engineered to give you plenty of torque at lower RPMs, with 310 lb.-ft. of torque at 2,000 RPM. And predictive i-ACTIV AWD® monitors everything from outside temperature to braking patterns, and then adjusts power delivery to help give you optimal traction before your wheels ever slip. 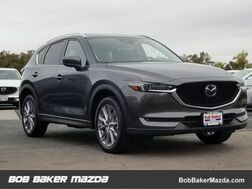 The Mazda CX-9 offers a range of convenient features for staying connected on the road, including Apple Car Play and Android Auto compatibility, phone integration, touchscreen technology, voice command and a premium sound system. Youll also find a comprehensive suite of safety features such as radar cruise control with stop and go, smart brake support with collision warning, blind spot monitoring, rear cross-traffic alert, lane departure warning, lane keep assist, adaptive front lighting, high beam control, advanced smart city brake support and traffic sign recognition. 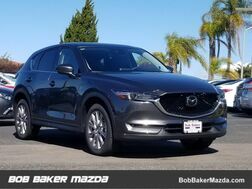 The 2019 Mazda CX-9 is never ordinary. *Must trade-in vehicle at time of purchase to receive allowance. Vehicle must be registered and owned by buyer. Vehicle subject to dealer inspection for trade-in value. Limit 1 per customer.